Perth, Aug 15, 2011 (Global Fashion Wire) - The Third International Conference of Fashion Incubators will be held at the Parmelia Hilton in Perth from the 11th until the 13th of September 2011. Sheelagh Wright, Course Leader BA (Hons) Fashion Promotion at the University for the Creative Arts (USA) in the UK is one of the coveted speakers attending. 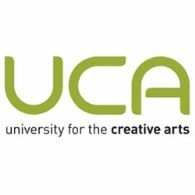 Sheelagh has been teaching at UCA for over 30 years. Conference Convenor, Carol Hanlon said "Sheelagh Wright is an inspiring speaker and has always been dedicated to working with charities. Since 2007 along with fashion entrepreneur Karen Millen, Sheelagh has been focussing her efforts on HOPEHIV in the UK. She set up a The Gateway School of Fashion in South Africa." The Gateway School of Fashion was opened in 2007 to provide a future in fashion for a young generation affected by both HIV and poverty. Many talented young people in South Africa do not have the opportunity to develop through education. Economic hardship pushes them into unskilled labour early in life and their dreams for the future are forgotten as they struggle to survive. The Gateway School of Fashion gives them the chance to learn new skills and access new opportunities. Using skills to generate an income, support a family and create both wealth and jobs in the local community is one of the most effective ways to create an Africa that is prosperous and self-sufficient. Sustainable livelihoods will no longer be unreachable. The Gateway School of Fashion provides each student with the opportunity to make a difference in their own community by unlocking their creative potential. Sheelagh will be addressing the International Conference of Fashion Incubators attendees about the Gateway School of Fashion project and talk about what has been achieved.